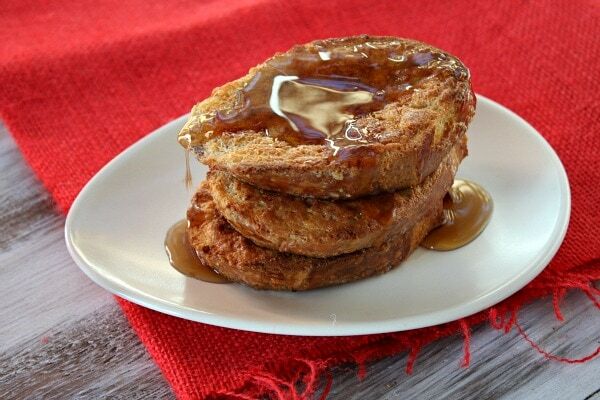 This recipe produces a French toast that is crisp on the outside and has a tender middle. In a large, shallow pan, mix eggs, milk, vanilla and cinnamon. Place bread slices in a single layer in pan and allow them to soak up the liquid for 10 minutes, then flip and soak for another 10 minutes (can be covered and refrigerated overnight at this point, if desired). In another large baking pan, melt butter in a 400 degree oven. 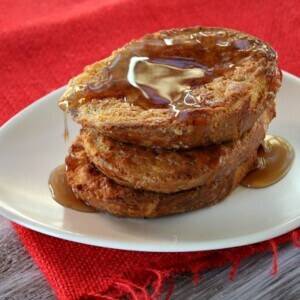 Transfer the soaked bread into the hot, heated, buttered pan in a single layer- drizzle a little bit of the leftover egg juices on top of the bread slices-, and bake for 10 minutes. Turn bread slices over and bake for 10 more minutes, or until bread is golden.